Most of us know the value of hard work on a daily basis. Is it any wonder why the laborer chooses to drink water? Ninety percent of our bodies contains water, and therefore water is vital to helping us maintain a good life when we drink water. But let's face it, when it comes to God the attitude is this: "Eh, who needs Him?" or even "What God? Not for me!" To this I say He knows us so well He can speak an invaluable truth to us and then invite us in a little bit deeper. Take the woman of Samaria who comes to the well while Jesus is sitting there. 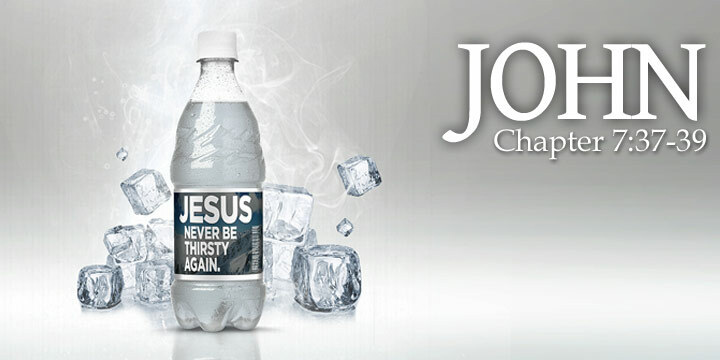 He says to her, "Give Me a drink" (John 4:7, New King James). A beat later He says to her, "If you knew the gift of God, and who it is who says to you, ‘Give Me a drink,’ you would have asked Him, and He would have given you living water" (John 4:10). In her mind you see those wheels turn. She's hooked and she knows it, so she responds: "Sir, You have nothing to draw with, and the well is deep. Where then do You get that living water? Are You greater than our father Jacob, who gave us the well, and drank from it himself, as well as his sons and his livestock?" (John 4:11-12). Now, let's break for a moment as I really want to share this with you. There is nothing too hard or too big for God. He knows it all. He knows the breakfast you had this morning; perhaps a banana, some cereal with milk, maybe a coffee to go. And yet He invites you deeper. That divorce you're going through? He answers saying, "Go get your spouse." Your eyes drop. He says to you, as you lost your job, "Show me your paycheck." Your mouth waters. You are so thirsty at this point you're going to break. "Show me your child," He replies, knowing you just lost your child to cancer. You sob back tears. All that to say, God is real. He sees your hurts. He knows where you are at this moment in time. He sees the desperation. He senses your humiliation. He sees you broken. Still, He says to you as well as this Samaritan woman, "Whoever drinks of this water will thirst again, but whoever drinks of the water that I shall give him will never thirst. But the water that I shall give him will become in him a fountain of water springing up into everlasting life" (John 4:13-14). Then without missing a beat He adds on these words, "You have well said, ['I have no spouse due to divorce', 'no pay stub to show you', 'I just lost my child to cancer'], 'I have no husband'" to this Samaritan woman (John 4:17b). To which the Samaritan woman says as well as us, "Sir, I perceive You are a prophet..." (John 4:19-20). And then Jesus shows us the authentic, firsthand reality of His messiah-ship: "I who speak to you am He" (John 4:26). Let us, however, look at one thing Jesus says, "If you knew the gift of God...He would have given you living water" (John 4:10). What's the deal with this living water? What is it exactly? How do we obtain it? And how do we keep receiving it? One of the first references of living water is found in the Old Testament: "And in that day living waters will flow out of Jerusalem" (Zechariah 14:8a). Another verse shows God dispersing water to a thirsty land: "For I will pour out water on the thirsty land And streams on the dry ground; I will pour out My Spirit on your offspring And My blessing on your descendants" (Isaiah 44:3). So, we can say that God's Holy Spirit is a renewal agent, offering life and restoration to those in great need. We obtain access to the water of the Spirit by accepting God's redemptive work through the Son, Jesus Christ. As scripture tells us, "So then faith comes by hearing, and hearing by the word of God" (Romans 10:17, New King James). We can come to Christ Jesus by accepting the words He gives us as He knows where we have been and where we currently are as we have already seen. He takes us as we are. But it's up to us to keep going in Him. Jesus tells us, "Abide in Me, and I in you. As the branch cannot bear fruit of itself, unless it abides in the vine, neither can you, unless you abide in Me. You did not choose Me, but I chose you and appointed you that you should go and bear fruit, and that your fruit should remain, that whatever you ask the Father in My name He may give you" (John 15:4, 16). That stream of water, which is the Spirit of Life, nourishes us, cleanses us, convicts us when we need us, corrects and guides us, but most importantly He is our Helper, our Comforter: "But the Helper, the Holy Spirit, whom the Father will send in My name, He will teach you all things, and bring to your remembrance all that I said to you" (John 14:26, New American Standard). This brings us to how we keep receiving the gift of God's Holy Spirit. It is by choosing to remain in Him, "If you abide in Me, and My words abide in you, you will ask what you desire, and it shall be done for you. By this My Father is glorified, that you bear much fruit; so you will be My disciples" (John 15:7-8, New King James). He promises us when we remain in Him we will bear fruit, showing us as His disciples. Then the fruit of the Spirit are seen as "love, joy, peace, longsuffering, kindness, goodness, faithfulness, gentleness, self-control, [which to these] there is no law" (Galatians 5:22-23, New King James). I hope that when you all read these words this shows a richness and depthness of my brotherly love and affection for each of you. We all thirst for one thing or another, therefore let Jesus be the guide to His Spirit so that we may be made more in His likeness. For it is in Him and through Him not only that we have life, but we become an extension of who He is to this world and to others. Let us do so in like manner. In Jesus Christ I pray. Amen.